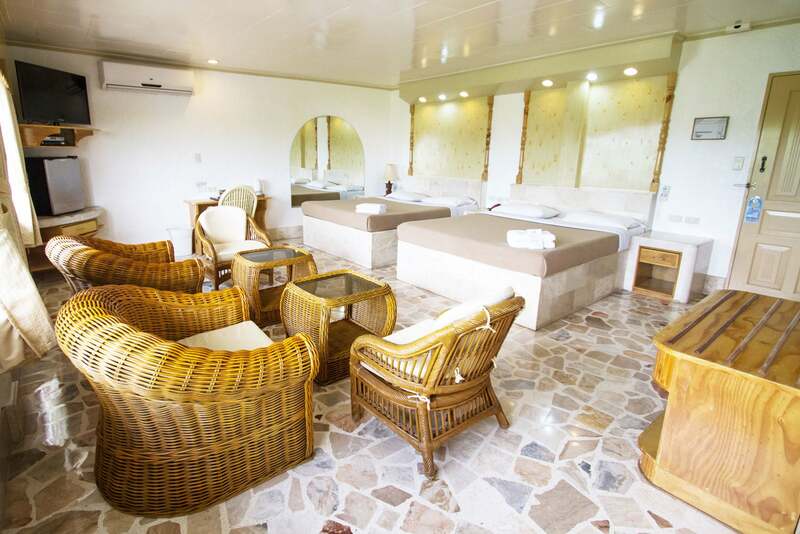 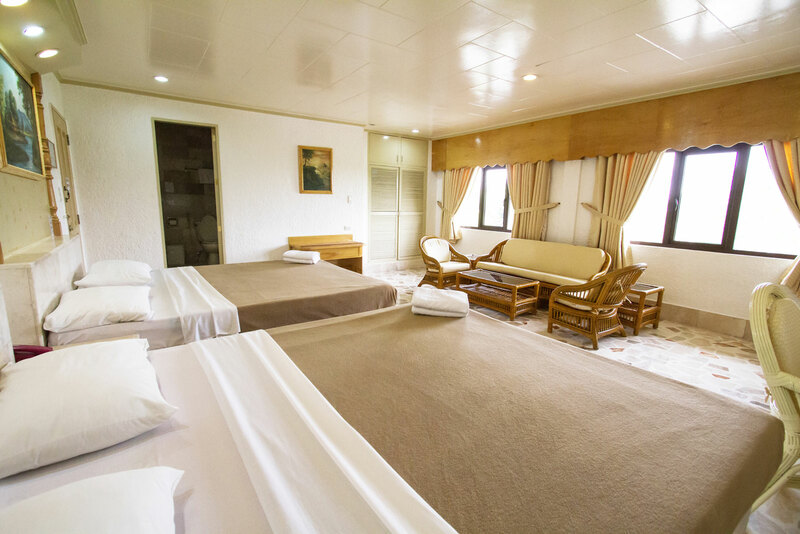 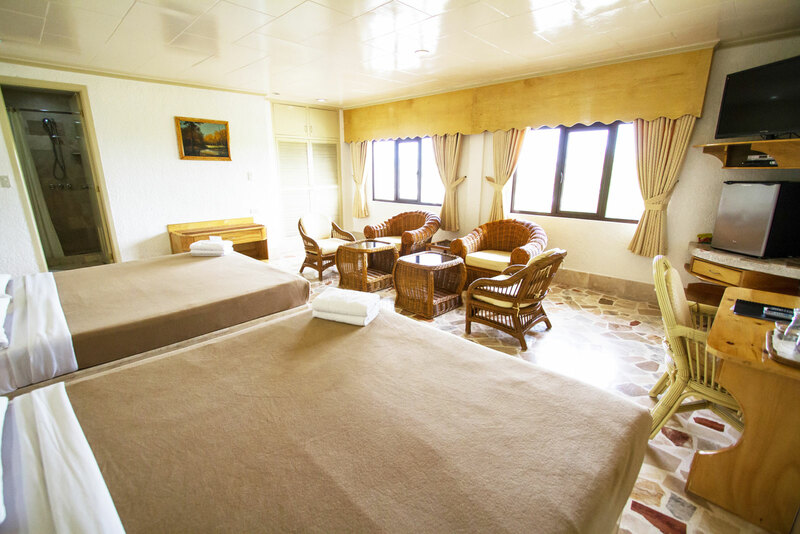 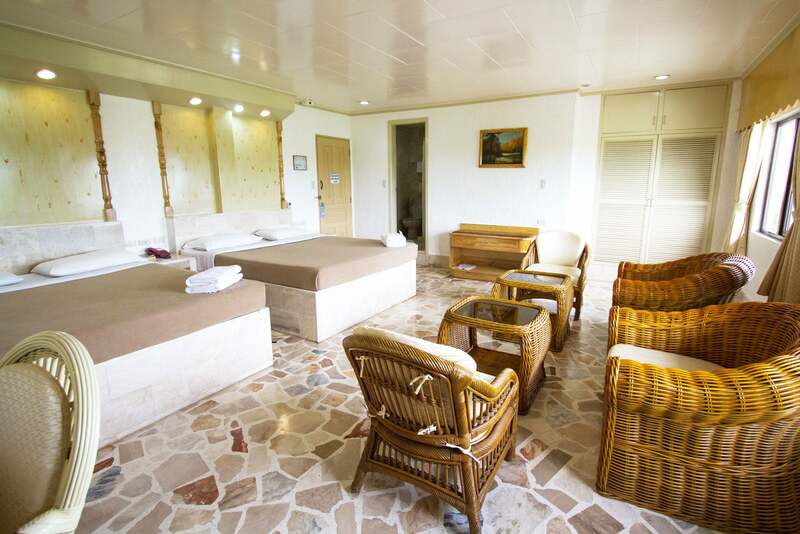 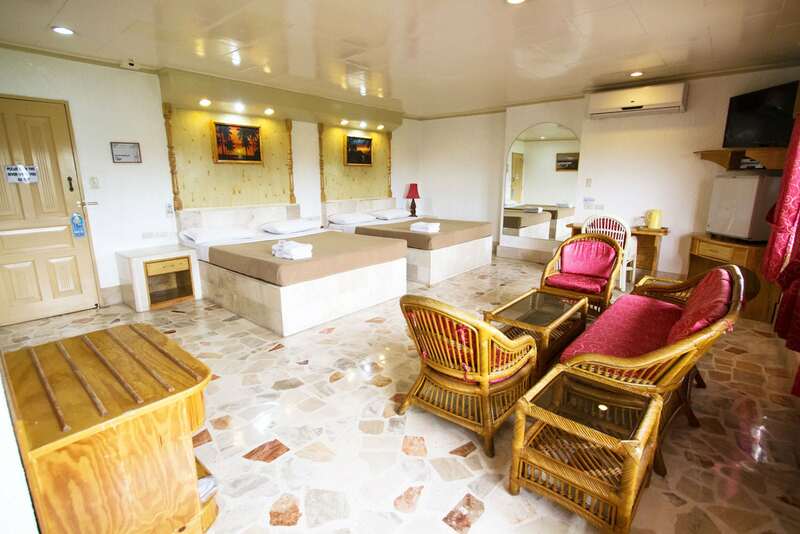 The expansive Queen Suite Double in the main building and overlooks the Clark field and Don Juico Avenue. 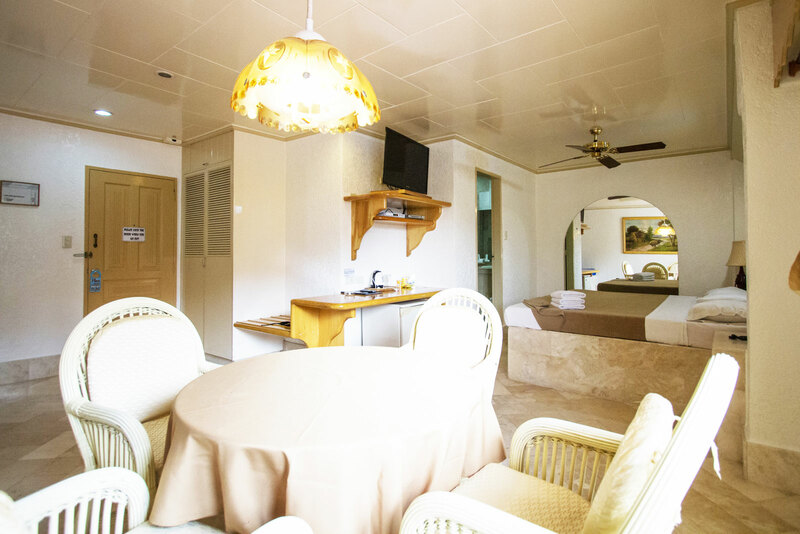 Comfortably equipped with 1 King bed (214 cm wide by 216 long) and 1 Queen Bed (168 cm wide by 212 cm long), a 4-person sitting area, 40-inch flat screen HD television with 100 international channels and 30 HD channels, a DVD player, an international direct dial telephone, in-room safety box, mini-bar, split air-conditioning, Wi-Fi and LAN internet service, and multi-point shower. 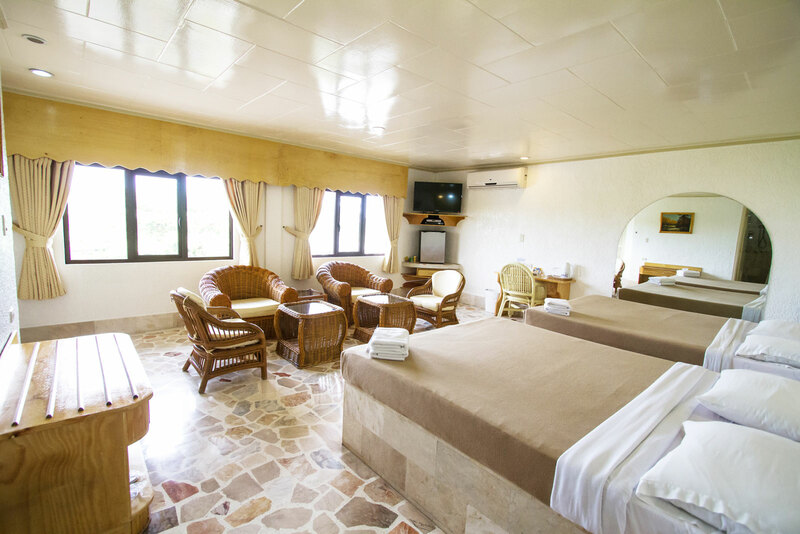 Occupancy: Good for 4 personsThe King Suite Double room features 2 King beds and a 4-person sitting area.